Feel completely at ease when you’re walking the shoreline wearing our cool blue sarong for girls and women! 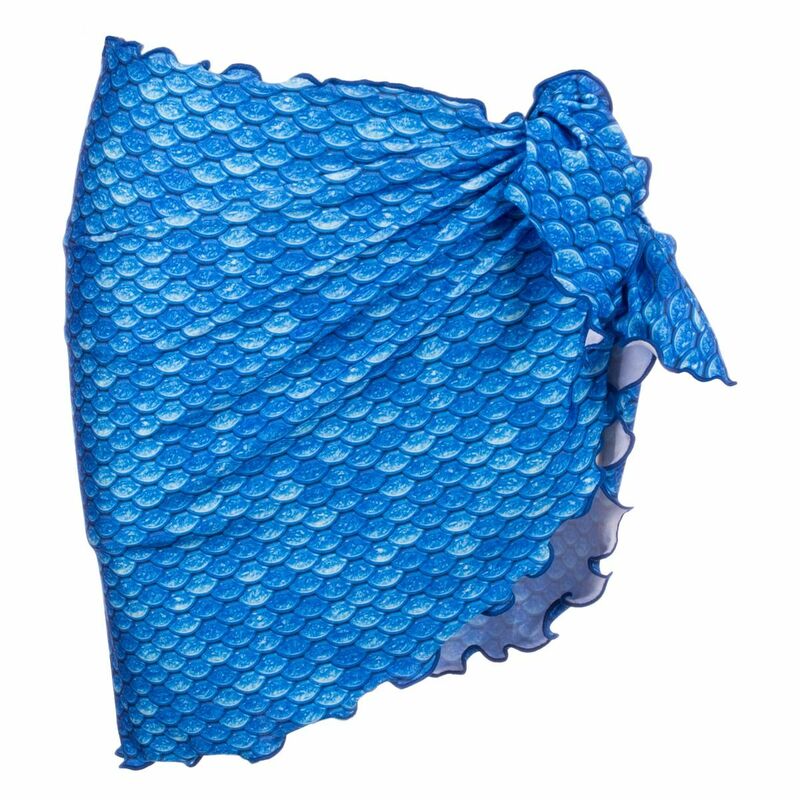 Featuring trendy mermaid scales of icy blue hues, this sarong of stretchy swimsuit fabric easily ties at the waist for the perfect fit. Ruffled edges add to the appeal of this whimsical ocean look. When you want to stand out at the pool, don’t wear just any old sarong! Wear a mermaid-scale sarong from Fin Fun designed just for girls and women! Featuring a gorgeous blend of deep blue tones, this cobalt-colored sarong is just what you need to cover your bikini bottom in style! Our signature Arctic Blue pattern looks breathtaking paired with our matching bandeau bikini set. Easily tied at the waist, Fin Fun’s mermaid-scale sarongs provide an exciting way to project beachy vibes at your local pool. Leaving on vacay? Don’t forget to pack your stylish sarong of stretchy swimsuit fabric to snag an impressive mermaid look that will be the envy of everyone you meet. Keep your sarong looking bright and beautiful by washing on the cold, gentle cycle of your machine. Lay flat or hang to air dry. Avoid all forms of high heat like hot tubs, dryers, and irons to prevent damage to the spandex fibers.